Have questions about this product (ID: 2320)? 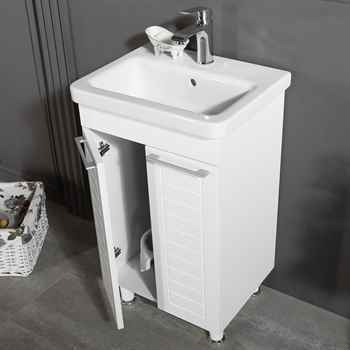 Clifton 19 ¾” White Bathroom Cabinet is a pre-assembled free-standing vanity constructed with high quality MDF. It comes with an integrated white porcelain sink, single hole for faucet, offers the minimalism with a beauty, perfect choice for bathrooms. 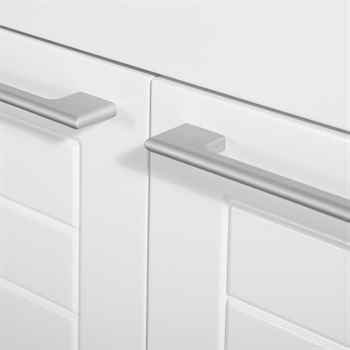 It features two doors with soft closing hinges, with inox bar handle and spray painted white color. Give your bathroom a bright and fresh look with Clifton 19 ¾” White Bathroom Vanities. 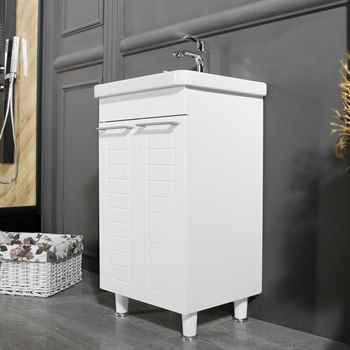 Clifton 19 ¾” White Bathroom Cabinet is a pre-assembled free-standing vanity constructed with high quality MDF. 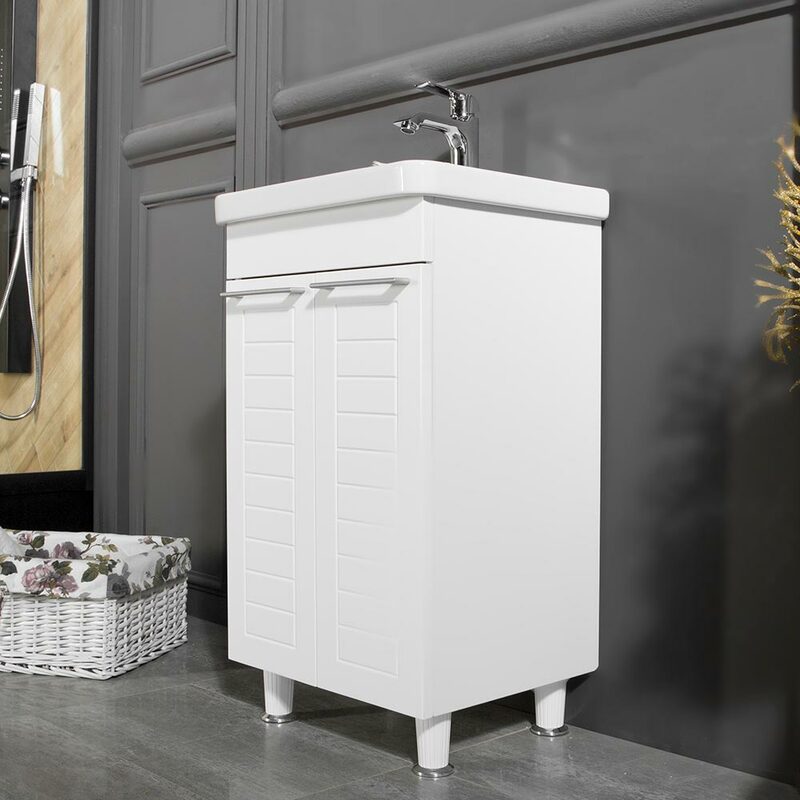 It comes with an integrated white porcelain sink, single hole for faucet, offers the minimalism with a beauty, perfect choice for bathrooms. It features two doors with soft closing hinges, with chrome bar handle and spray painted white color. 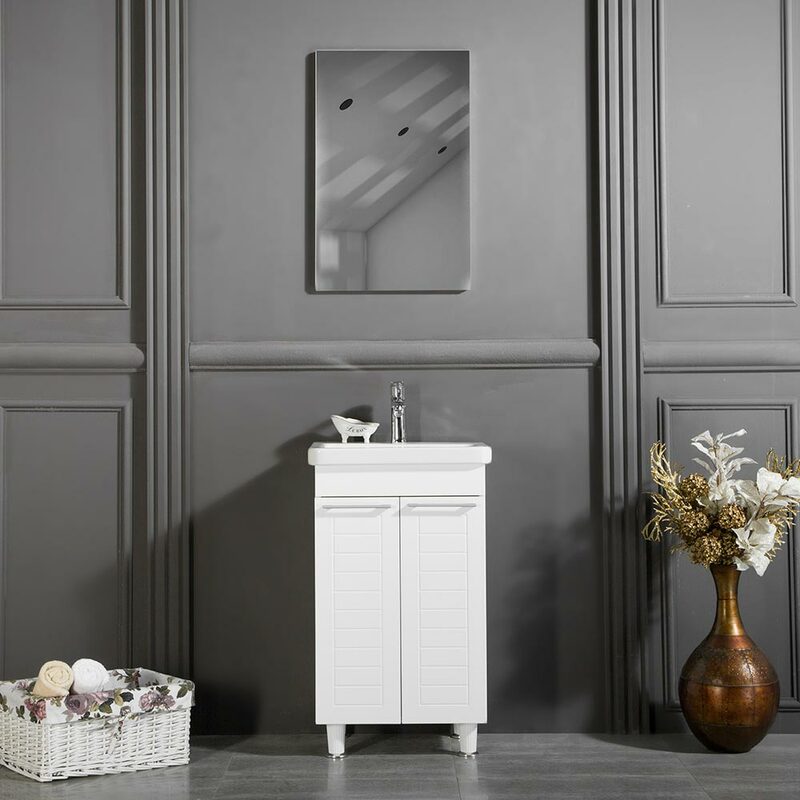 Give your bathroom a bright and fresh look with Clifton 19 ¾” White Bathroom Vanities.